How Do Lasers Work For Hair Loss? What Types of Laser Hair Growth Devices are Available? What Should I Consider When Buying The Best Laser Hair Growth Device? Do you know what’s around the corner? The birthday of my beloved aunt! And you know what that means… Gift giving! So when aunt opened up about her hair loss dilemma during a family gathering, our family thought of getting her the perfect gift this birthday – the best laser hair growth device! As a sickness symptom, medicine/treatment side effect. Hormonal changes or imbalance due to pregnancy, menopause or thyroid issues. According to the trichologist whom she consulted with, my aunt’s hair loss is due to hormonal imbalance and a vitamin deficiency. The doctor recommended that she take certain vitamins, use medicated hair products, and undergo sessions of an expensive treatment called Mesotherapy, to nourish the hair follicles and stimulate growth. Not everyone has the money for all that. That’s why after reading various laser hair growth treatment reviews she saw a spark of hope. Could this be her saving grace sans the expensive price tag? You must be thinking “Whoa! Are you insane? I’m using a laser for hair removal, now you’re telling me it can make my hair grow too!?”. Before you get confused and panic, let me tell you that the main difference lies in the laser level or wavelength used to operate these two procedures. 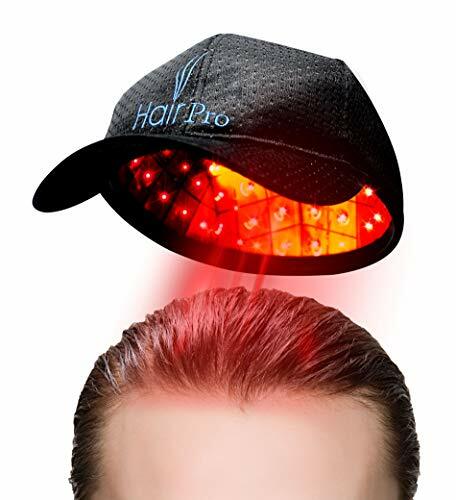 Laser therapy used to stimulate hair growth (such as red light therapy and cold laser therapy) use a low level of the laser (between 630-670 nanometer [nm] in wavelength) that emits photons into your scalp tissues. These photons are responsible for encouraging hair growth especially for the weak and dying cells of our scalp. Compared to hair transplant surgery, laser treatments are considered safe, effective, less invasive and most importantly, less expensive! Certain medications may cause adverse reactions (like photosensitivity or extreme sensitivity to light) when combined with laser treatments. Consult your doctor prior to getting treated to ensure that it is safe for you. Laser hair growth devices don’t work overnight. It takes time and continuous treatment before you start seeing results. Laser hair growth devices work well on people with early stages of hair loss compared to those on a later stage. Most products refer to the Ludwig-Savin (for female hair loss pattern) and Norwood-Hamilton (for male hair loss classification) scales to identify the stage or level of hair loss and whether their product would be of help to the customer or not. Your doctor can help rule out any vitamin deficiency and hormonal imbalance and prescribe vitamins (such as Biotin, Vit. C and Iron supplements), medication (to treat any underlying condition that causes hair loss), and special shampoos to nourish your hair and spark growth. All these can help the device yield positive results. How often do you need to use it and for how long? How many laser lights are there? What is the laser level? Is it comfortable to use and easy to operate? Can it be used cordless? Does it come with a money back guarantee and a warranty? Important Note: Low Light Laser Therapy (LLLT) is not recommended for pregnant women. I definitely want the best for my dear aunt and for y’all, that’s why I rounded up 15 (yes, 15!) of the most promising and most reviewed products out there. You’ll surely find one that suits your (or your beloved ones) needs and of course, your budget. Check them out below! This state of the art helmet offers clinical strength laser phototherapy at a fraction of the cost. 80 individual cold lasers are spread all throughout this comfortably padded helmet to ensure maximum coverage and lesser treatment time, guaranteed to reduce hair fall, stimulate growth and increase volume. This device can be used cordless and totally hands-free, so you can focus more on other important things (except vigorous activity, of course!) while it takes care of you. Can be used by males experiencing hair loss within the Norwood-Hamilton classification of IIa to V, and women within the Ludwig-Savin scale of I-1 to I-4. Uses cold laser therapy with 678 nm laser light wavelength. 80 individual lasers that can last 6,000 hours of use (about 18,000 treatments). Two, 20-minute sessions per week is required. Easy to use, just one button to turn the device on/off and to check how much treatment time is left. Built-in speakers to listen to the voice readout during treatment initiation, completion and when checking how much time is left. 2-3 hours charging time prior to initial use. 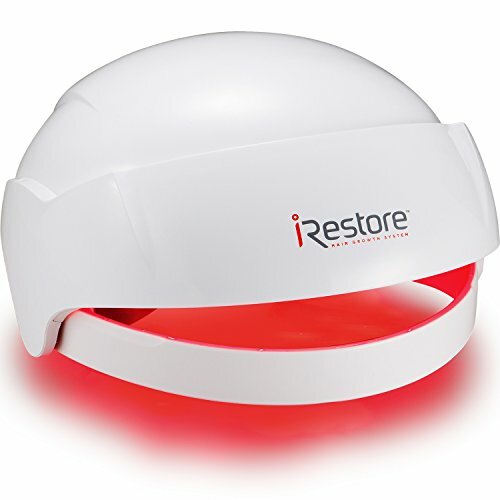 iRestore is probably the best laser cap for hair loss based on feedback I’ve heard around the block. 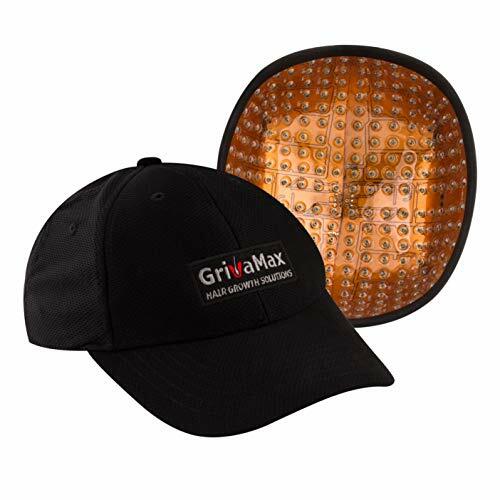 This well-loved laser cap boasts with utmost comfort, ease of use and efficiency. With a powerful combo of lasers and LEDs that shoot the hair follicles with the perfect laser light wavelength of 650 nm, results are guaranteed. With iRestore, you have nothing to lose but more hair to gain! Can be used by males experiencing hair loss within the Norwood-Hamilton classification of IIa to V, and women within the Ludwig-Savin scale of I to II. Uses red light therapy with 650 nm laser light wavelength. 51 medical grade lasers and LEDs. Use for 25 minutes, every other day. Easy to use, comes with a remote and battery pack for hands-free use. Safe to use with other hair growth products (such as Rogaine and Minoxidil). Needs to charge overnight prior to initial use. But a full charge can last a week of treatments. Uniquely designed to efficiently target hair follicles an area at a time, Hairmax uses 82 medical grade lasers that travel on a straight line to reach and activate hair follicles promoting blood flow and oxygen that are needed to encourage growth. This by far is the only brand that offers the quickest treatment time of 90 SECONDS, perfect for people who are always on the go. Its unique band design is compact enough to bring with you on trips, you surely won’t miss a session anywhere you go! Only works for people with mild to moderate hair loss. 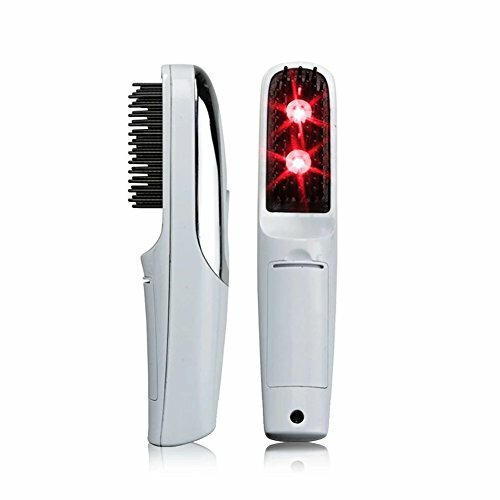 Uses red collimated light to effectively penetrate the scalp. 82 medical grade lasers (no LEDs). Use for a total of 90 seconds (30 seconds per area of your scalp), thrice a week. Easy to use, just one button to turn on/off and to set the timer. Vibrates to let you know when the time is up. Hair parting teeth allows for effective laser penetration. Safe to use with other hair growth products. May be a struggle to keep it on your head especially if you have fine and short hair. 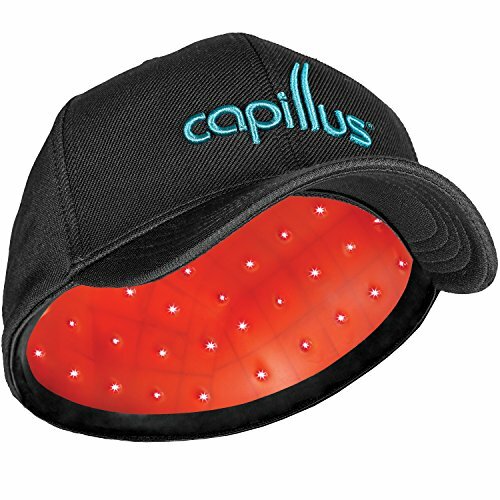 Perhaps you’re looking for a laser device that’s much lighter, flexible and more comfortable to wear, if you are, then the Capillus Laser Cap 82 is for you! This cap is so thin and discreet, it can be worn with the bull cap provided or your headgear of choice in and out of the house! But that’s not all, you’ll also love Capillus’ safety features such as a detached battery pack integrated into its remote and sensors that will only trigger the light once you’re wearing the cap (no to laser-induced blindness!). Safe, comfortable and effective, truly a winner in our book. Uses red light therapy with 640-650 nm laser light wavelength. 82 medical grade lasers (also comes in 202 and 272 on other versions) for maximum coverage. Use for 6 minutes daily. Easy to use, just a press of the button to turn on/off. Completely discreet, it can easily fit into the provided bull cap or any caps/hats you may have. Needs to be charged for a full 24 hours prior to initial use. 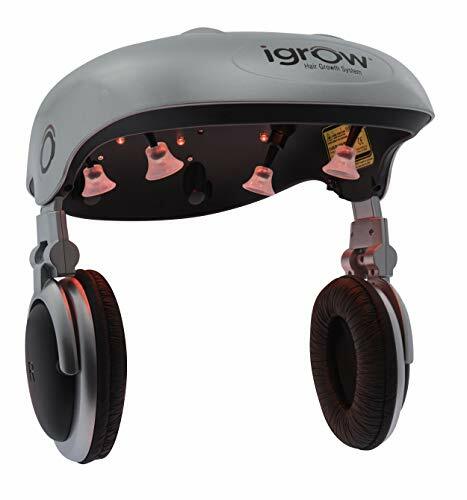 Nothing can be more specific when it comes to treating hair loss than iGrow. With 5 predefined programs to choose from, you can be sure that it will provide you tailor fitted treatment depending on your hair loss pattern with just a touch of a button. Don’t be fooled by this Robocop looking device, it’s uber comfortable and adjustable to fit most heads. The best thing of all? Not only is it highly effective, but it also comes with headphones so you can listen to music, play your fave games or Netflix and chill all while treating your scalp. Can be used by males experiencing hair loss within the Norwood-Hamilton classification of IIa to Va, and women within the Ludwig-Savin scale of I-1 to II-2. Uses a combination of red laser light and LEDs with 655 nm laser light wavelength. Easy to use, comes with an LCD display remote control where you can select the program, turn the device on/off and pause the treatment. Use for 20-30 minutes thrice a week (depending on your hair loss). Comes with headphones and an aux cord to play audio (from your phone, mp3 player, tablet, any gaming console, and laptop). None. I like how this company handles their business. Trying it will pay off! Illumiflow is the queen of all laser caps. With nearly the same price as most good laser hair devices, you get more highly effective LED lights for more coverage. This device is so lightweight and comfortable, you’d feel like you’re just wearing a beanie (you can actually wear one on top of it)! Can be used by males experiencing hair loss that falls under the Norwood-Hamilton classification of 2A, 3, 3A, 3 Vertex, 4, 4A and 5. And for women with the Ludwig-Savin scale of 1-1, 1-2, 1-3, 1-4, 11-1, 11-2. Uses red light therapy with 650nm laser wavelength. 272 individual lasers for maximum coverage (can be used for up to 20,000 treatments). Easy to use. Automatically turns off after 30 minutes. Use for 20-30 minutes thrice a week. 3-5 hours charging time (but can last 6 to 8, 30-minute sessions). 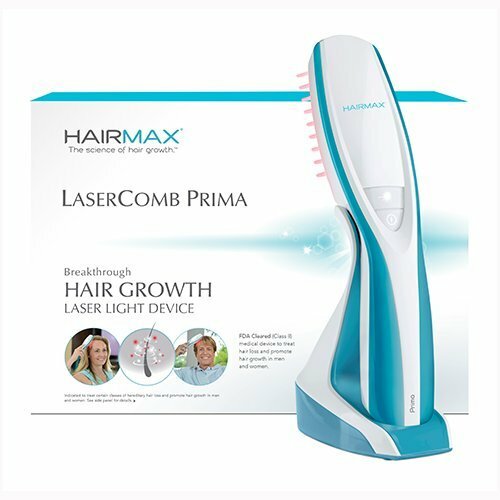 If you’re only spot treating small areas of your scalp and don’t want those big and weird looking helmets and caps, then this HairMax Prima 9 Laser Comb is for you. It’s lightweight and portable enough to tote around during travels and yet as effective as the laser band from the same brand. 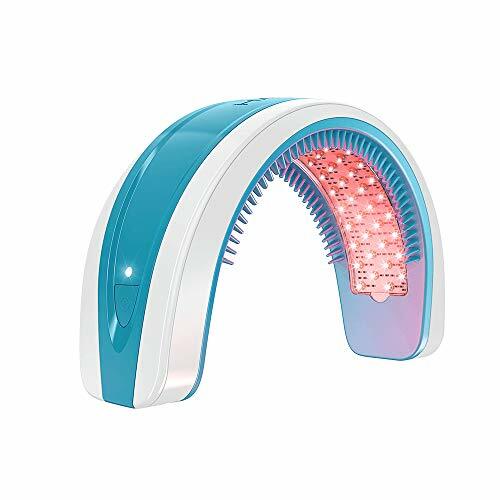 With 9 pure laser lights and a parting comb, you can rest assured that these lasers will easily penetrate hair follicles and target specific problem areas with ease. Same great results but from a more compact size! Can be used by people with mild to moderate hair loss. 9 medical grade lasers (no LEDs). With hair parting teeth for more targeted treatments. Use for approximately 11 minutes thrice a week. You may get tired of holding the device since it is handheld. While other hair devices are thriving in 2019, this device right here is already in 2030! Probably the most innovative hair device, as iHelmet comes with a smart app integration. This awesome app allows you to choose from 7 predefined treatments for a more targeted approach, set reminders (to make sure you won’t skip a treatment), record your treatment, track your progress and display how much battery is left. 200 individual lasers are spread throughout 7 areas to emit 650 nm wavelength (the perfect wavelength to encourage hair growth), you’ll get effective and customized treatment each and every time! Can be used by males experiencing hair loss that falls under the Norwood-Hamilton classification of IIa to V. And for women with the Ludwig-Savin scale of I-1 to II-2. Uses cold laser treatment with 650 nm laser wavelength. 200 individual lasers that form an ellipse, crisscross pattern for more coverage. Easy to use. Comes with a voice prompt to let you know when treatment starts/ends/pauses/continues. Comfortable and fits most heads. 7 customizable treatment zones to fit your hair growth needs (25-35 minutes). Has Auto Stable Energy (ASE) feature that reduce laser energy when outside temperature rises (during summer). Expensive but definitely worth its price. 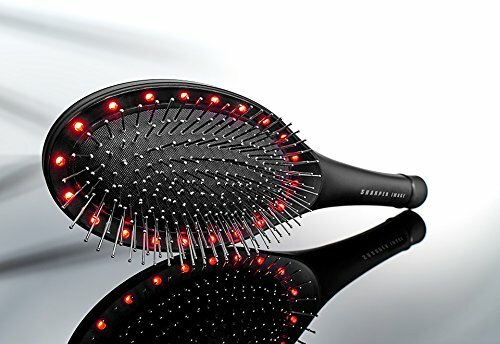 This hairbrush was created from the idea that vibration and low light therapy can increase blood flow to the scalp and supply hair follicles with the nutrients it needs to produce hair. It’s affordable, relaxing and can be used to supplement your hair growth treatment. Although LED lights were used instead of medical grade lasers, it emits 660nm of light which is the perfect amount to activate the hair follicles and encourage hair growth. Perfect for people on the go, who want to treat their hair anytime, anywhere. Uses both LED lights and vibration. 20 LED Lights with 660 nm wavelength. 3 modes available (LED, massage or both). LED lights are used instead of medical grade lasers. It’s thin and comfortable enough to be worn under a cap or any headgear (except fascinators! ), no one will be able to tell that you’re treating your scalp with 272 lasers shooting 950 nm of light! Easy to use and totally cordless, you can go about your day without this getting in the way! Try this now! 272 individual lasers with 650 nm laser light wave length. Use for 20-40 minutes, thrice a week. Long USB charging cord (4 ft). Long charging time (but can last 6-8 treatments on a full charge). Home laser hair treatments need not be complicated. Nutrastim offers easy to use laser treatment for your problem areas with 12 LLLs that you use for only 8 minutes. It’s that fast! It’s ergonomically designed, cordless and light enough for easy handling (perfect for people with small hands). Proven safe and effective and can be used in combination with Minoxidil and other hair boosting products and treatments. You get professional results without paying for a hefty fee! Use for 8 minutes, thrice a week. Long charging time. Needs to be charged for a full 12 hours. HairPro offers the same medical grade low light laser technology at a more affordable price (+ it’s FDA cleared). You can have peace of mind that this product is safe and effective. Uses cold laser therapy with 650 nm laser wavelength. Use for 30 minutes, every other day. Couldn’t find information on battery life or charging time. How easy is it to grow your dream hair? It’s as easy as brushing it every day! Combining the powers of LLL and vibration, this brush will surely relax you while it awakens your sleeping hair follicles and increases blood flow that will, in turn, improve your hair condition and stimulate growth. 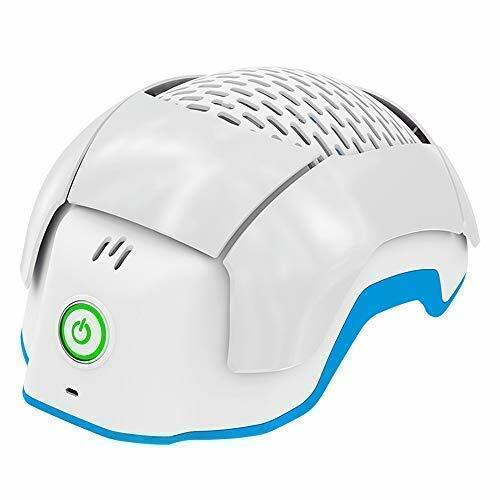 Uses 2 low energy infrared lights and vibration to stimulate hair follicles. Detachable comb for easy cleaning. Couldn’t find information on warranties, but seller guarantees 100% quality and can be contacted to resolve any issues. Starting to shed hair and want something to stop it from its tracks? Aside from good nutrition, food supplements, and medicated shampoos, a good vibrating brush with laser helps stimulate growth by improving blood circulation in your scalp. 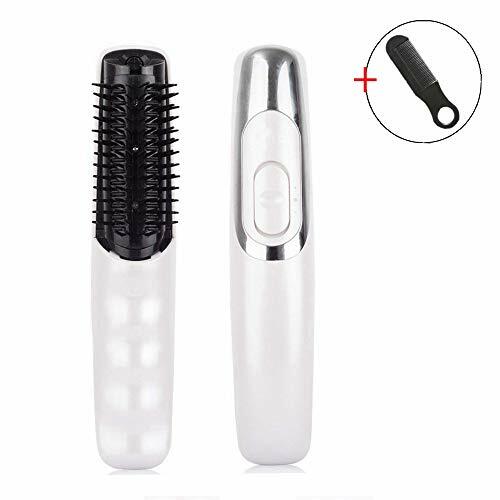 This Amuliss brush is loaded with relaxing massage power and a penetrative low light infrared laser that helps your hair to grow thicker and stronger over time with just 5 to 10 minutes of daily usage. Use for 5-10 minutes daily. Easy to use with 2 modes available. Once again, I coudn’t find info on money-back-guarantee or warranty. Maybe you found it? Scalp massage is known to increase blood flow and stimulate hair growth. Pair that with 3 low energy beams shooting your scalp with photons at a straight line for better penetration, and you get an effective hair growth device that is super easy to use and portable enough to bring anywhere. It’s the perfect supplement to your hair growth journey! 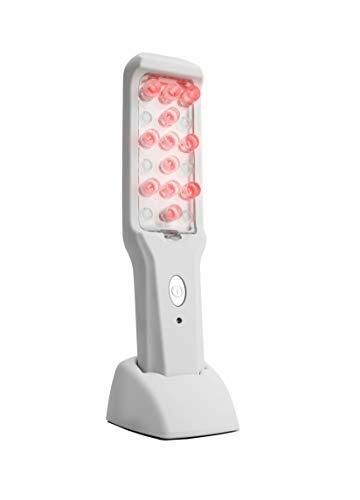 Uses 3 low energy beams of light and vibration to stimulate hair follicles. Safe enough to be used daily. And again – is there a warranty or money-back-guarantee? I don’t know! Hair loss, when caught during its early stages, is still reversible. We’re lucky that we live in such a technological age where devices are made not just for clinical use but for home use. 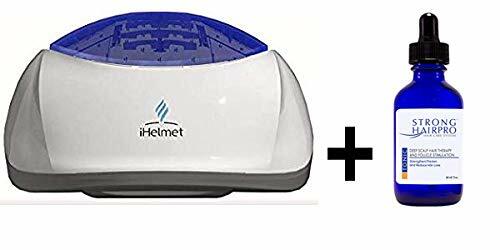 From the list of the best laser hair growth devices above, my family and I saw value in two products: Illumiflow and iHelmet. I have a strong feeling we’ll go with Illumiflow, although the app integration with the iHelmet is something that may prolong the decision making. These devices come at a steep price, buying them without a money back guarantee can be risky and may end up being a total waste of money. So, please check that with each of the devices! Which of these products do you find promising? Have you tried them in the past? Any other brands you’d like to recommend? Write your comments or questions in the comments box below. Wishing you the best of luck on your hair growth journey!